October 19, 2015 October 25, 2015 daenc1 Comment on What’s Good at Hillside? Home, they say, is where the heart is. For both Mr. Cason and I, the timing of our visit to Hillside, on its Homecoming, couldn’t have been more appropriate. For Mr. Cason, the school was the center of his life for 17 years, first as Music Teacher/Band Director, and then as Chorus Teacher. I was a Hornet for the 8 years prior to this one, and taught History in the same classroom year after year. This trip, then, was not just a school visit, it was a chance to touch the place that shaped so much of our lives in so many ways: Home. 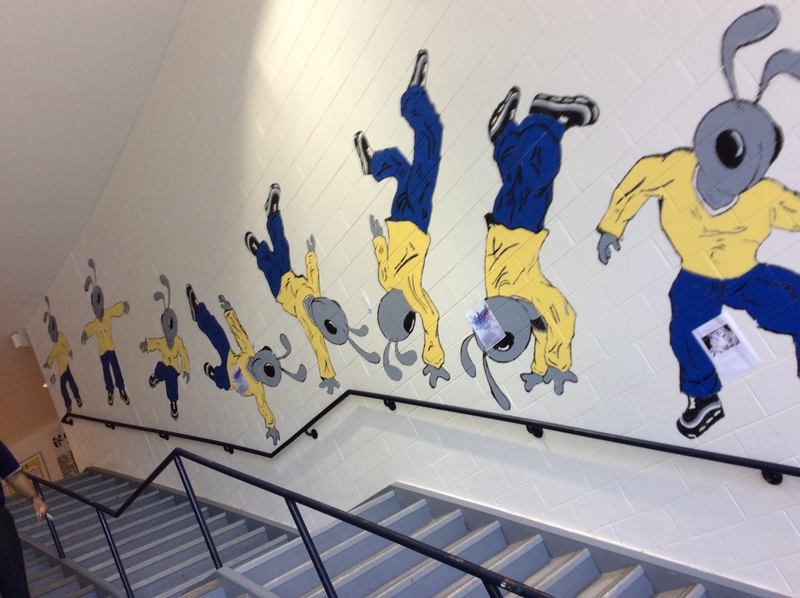 It was also a reminder of what Hillside has more of than any school I’ve ever been in: Heart. For nearly a century, the school has been the pride of large segments of African-American communities in Durham. It is one of 5 remaining Historically Black High Schools in the state, and claims the likes of gospel singer Shirley Caesar, NBA star John Lucas, activist leader Ben Ruffin, writer and fashion icon Andre Leon Talley, and activist and religious leader Pauli Murray among its graduates (if you can believe Wikipedia on these matters). To have attended, graduated, or taught at Hillside is a badge of pride for so many in this town, and we carry the school’s legacy with us everywhere we go. It is also home to an International Baccalaureate program, one of the premier 9th grade transition programs in the country (the Hornet Academy), a Business and Finance Academy that boasts the only commercial bank training center in the country, a nationally acclaimed and internationally-tested Performing Arts program, athletics teams that are competitive at the state level year after year, and steadily rising indicators of academic success. Depending on where you are and who you’re talking with, however, the previous two paragraphs may go totally ignored, because the perception of Hillside’s historically nearly-all-Black student population brings with it the racist perceptions of low-performance, disorder, and danger. As the “Black school” (which is increasingly populated by Latino students and looks pretty much like most schools in Durham these days), it shoulders the weight of these perceptions and goes about the business of teaching, learning, and disproving its naysayers. 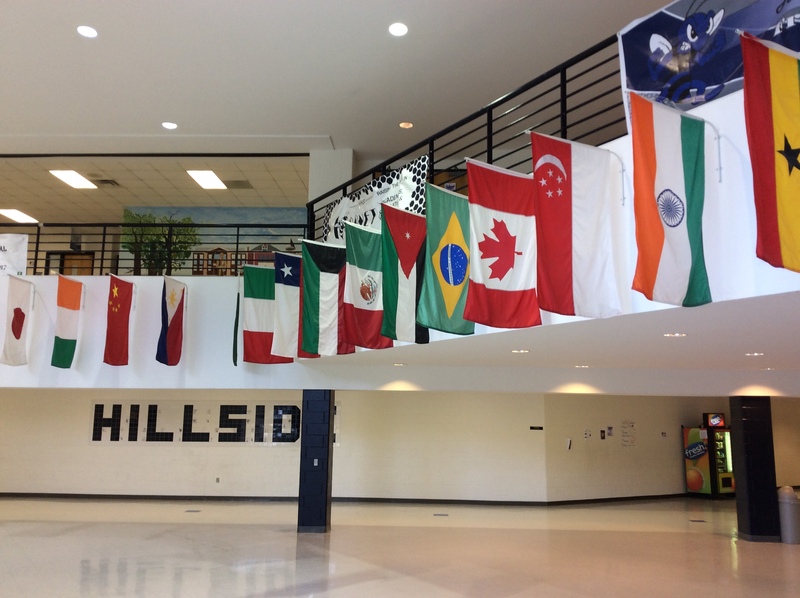 Hillside students and staff know the story about their school, and they work hard to claim an identity outside of the box that much of the community tries to push them in. This work necessitates a certain amount of belief in oneself, and the Hillside Hornets bring a defiant heart with them to school every day. It is this heart that sets the Hornet Nation apart, and it is a great honor to share the Hillside story with the world. 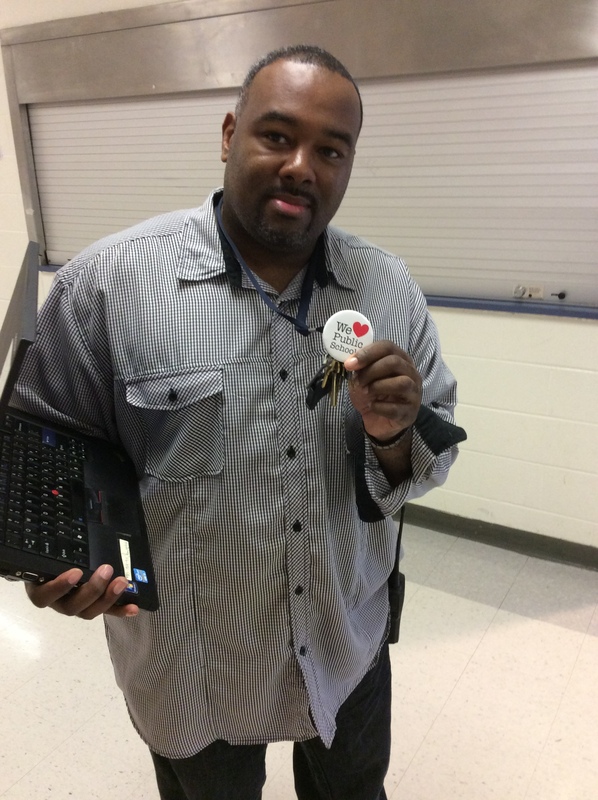 For Social Studies Teacher Eric Cooper, Hillside High is all he’s ever known as a Teacher. He interned here, and has taught every course in the department over the last 8 years. For him, the best parts of the experience have been his colleagues. They always have time for each other, and no one is ever turned down when they make a request for support. 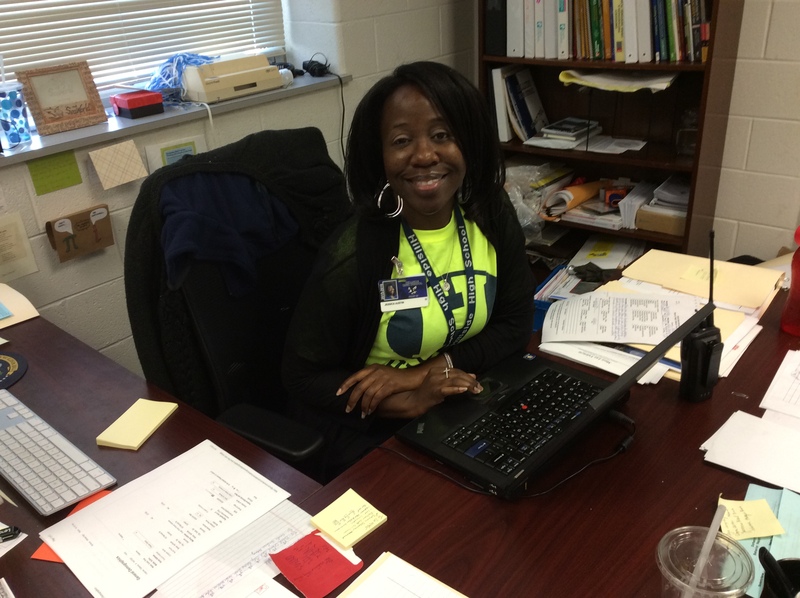 Right next door, Shassi Ogede also loves the staff. She’s been teaching at Hillside for 7 years and says that it “takes a special kind of person” to work at the school. That special quality, according to Ogede, is the “belief that there is something inherent in each student,” where success can be found, and that “it is our duty/professional calling to pull out that inherent need of each child to succeed.” That quality also leads Ogede to spend more hours in a school building working to refine her curriculum and grade papers than any Teacher I’ve ever seen. Earl Williams would call this work ethic “professionalism,” and he sees it in high volume among his co-workers. 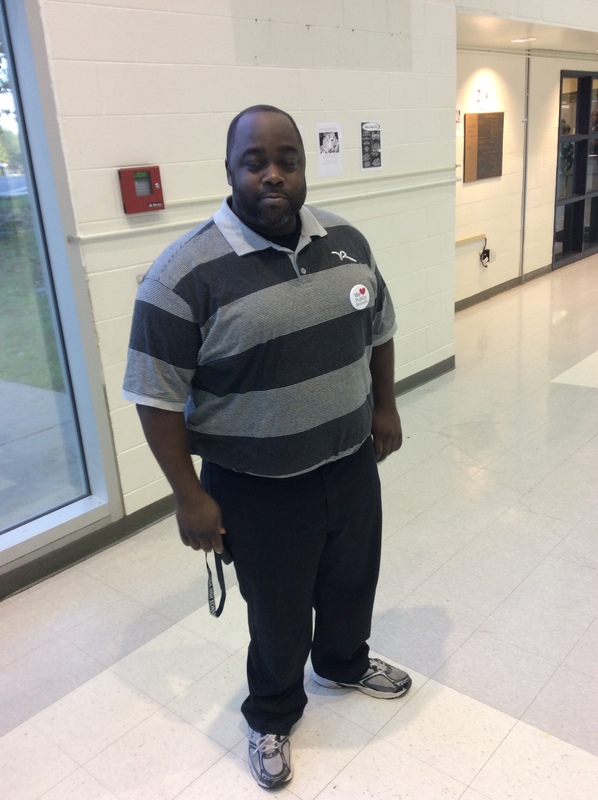 He’s taught in the EC Self-Contained class for the last 3 years and loves the fact that the professional staff has the faith of the administration and isn’t subject to the micromanaging that many school workers suffer under. 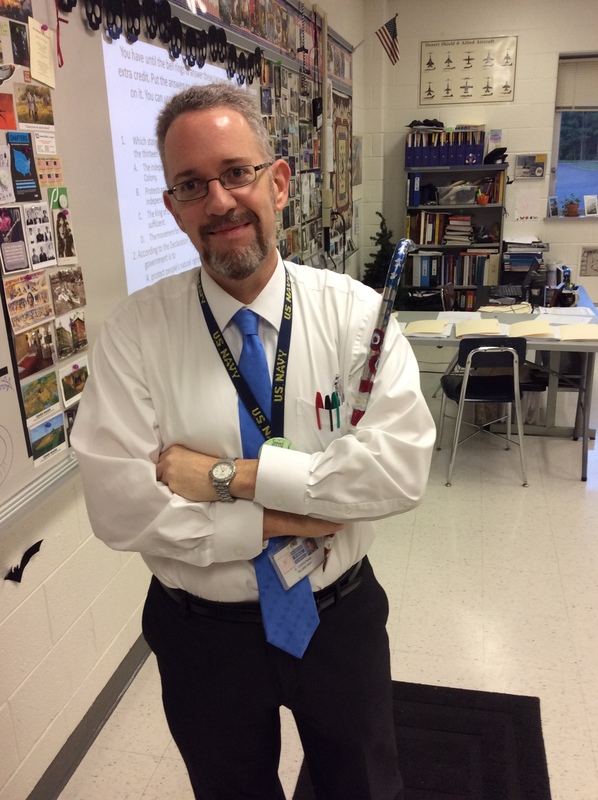 My long-time next door neighbor Alex Christman also relishes that freedom (and brandishes an infamous “Wand of Freedom” that his students know so well). For years, he’s taught the school’s AP U.S. History course, and this year, he’s taken on the IB curriculum in Social Studies as well. For Christman, maintaining a rigorous classroom with the highest standards for student performance is his challenge to the dominant narrative about the school. Year after year, he engages his students in higher-order thinking tasks and pushes their writing to grow through assigning more essays than they’ll see in a college course. He believes in his students, and he challenges them to believe in themselves. On this visit, he told me that he loves teaching students who he knows have “more natural intelligence” than he does and giving them the tools that they need to unlock their potential. Rounding out my trip through the downstairs Social Studies Department (oh no, did I bring a bias here? ), was my conversation with Hillside newcomer Rickie McMillan. 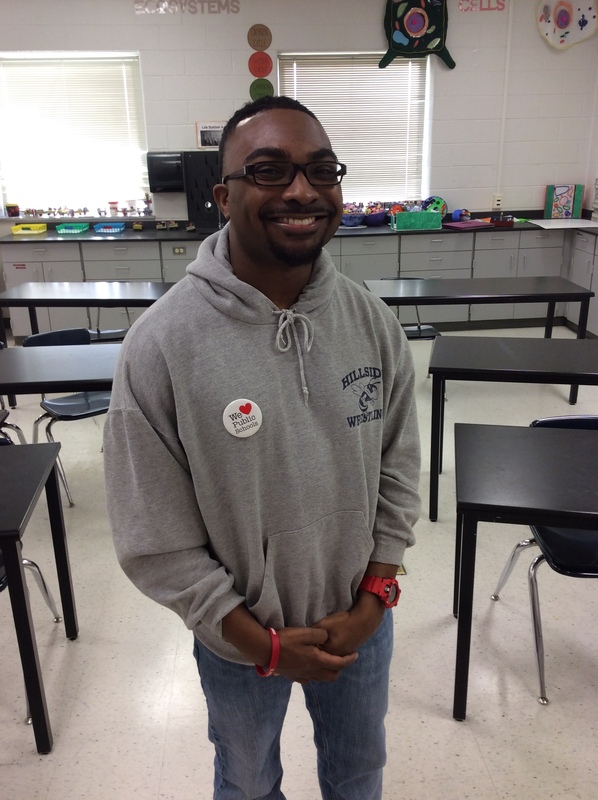 McMillan came to the school this year and said simply, “I love it,” when I asked him how he was feeling so far. The kids remind him of himself during certain stages of his life, and he relates to them easily. For McMillan, finding a sense of purpose at the school comes easy, as he shared that, “people didn’t give up on me, so I don’t give up on them.” With that quote, I walked out of my old classroom feeling confident that it’s still a place where students are loved, valued, and pushed to be the best versions of themselves possible. Down the hall, Jose Cuevas said his co-workers help him to be the best version of himself in the classroom. He’s in his 3rd year teaching at the school as part of a program that brings Teachers from around the world to work in the U.S. The Spanish native cited the friendly and supportive quality of his co-workers as a factor that gives him hope every day. “They always care about you, and you can always see a smile on their faces,” he offered as evidence. 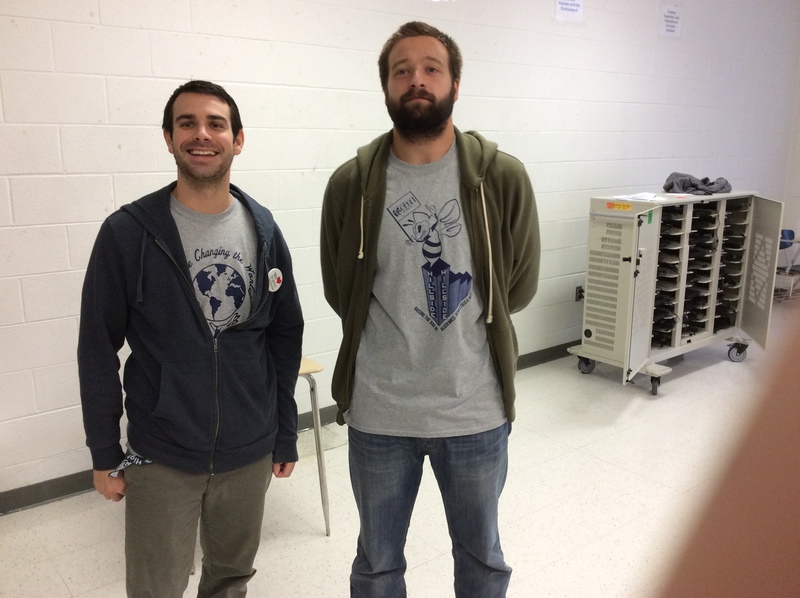 Two of his World Languages department teammates, and his next door neighbors, also come to the classroom from other parts of the world. 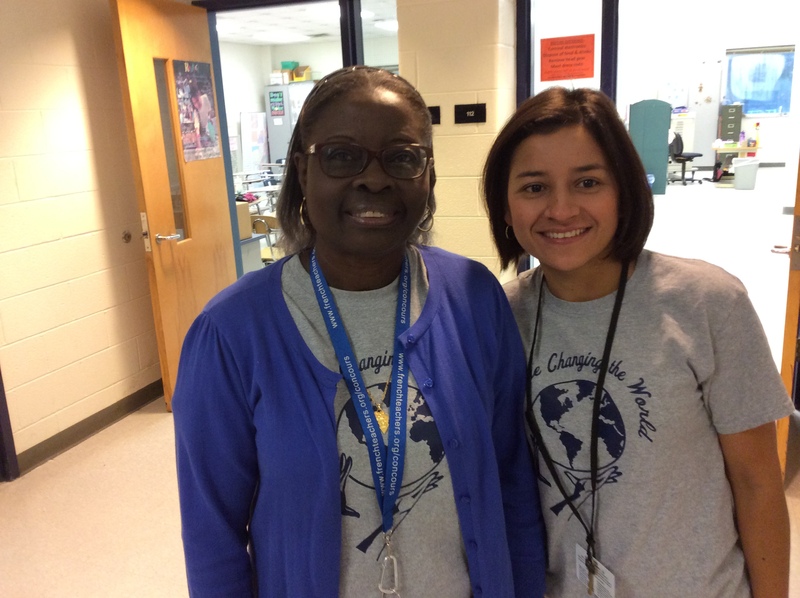 French Teachers Evelyn Gonzalez and Jeanette Ndong are both in their 2nd year at the school and have clearly built a strong connection with each other. 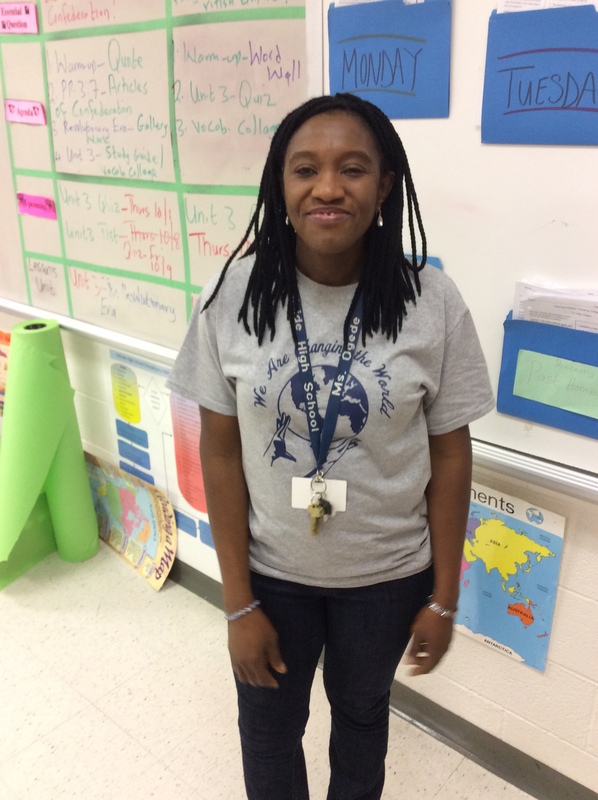 For Gonzalez, “everything is different from my school in Colombia, and it’s good to see different things.” Ndong noted how willing to learn the students are and the support of her colleagues as her favorite parts of the experience this far. Across the hall, Sarah Wilson is back for her 2nd year teaching Spanish at the school, and smiled when I asked her what “was good” about the school. “It’s different every day,” she noted, in a remark that resonates throughout our schools as one of the best parts of the job as a Teacher. We never get bored. After the bell ran to start class, we made our way down to check in with Dr. William Logan, the school’s Principal. 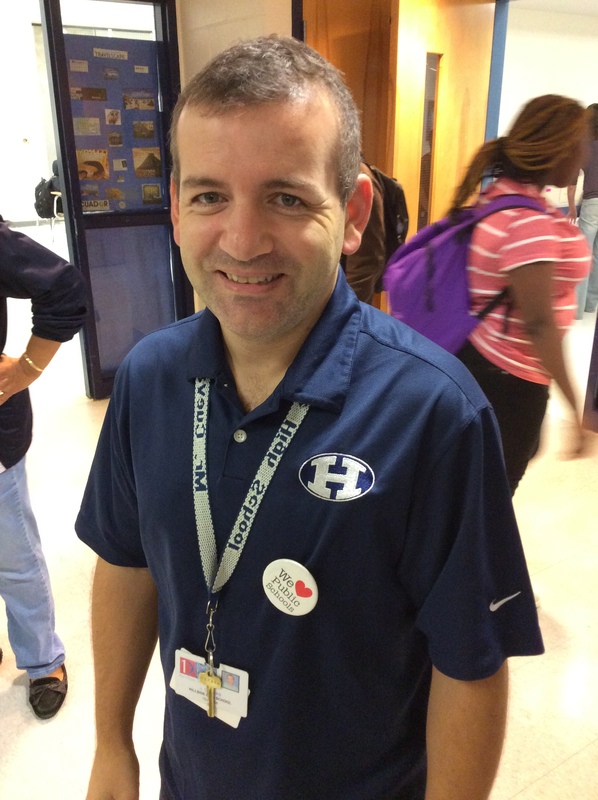 Dr. Logan first started as an Assistant Principal at the school, left to open up Hillside New Tech High School down the hall, and came back over to Hillside nearly 4 years ago. The route he took to a career in education, he claims, was “divine intervention,” as he eschewed his original intention to study the law when he “fell in love” with teaching during his first class in his college’s School of Education. For Logan, the “passion, talents, commitment, intellect, curiosity, and willingness to want to do” of the students is what keeps him going. He also had high praise for his colleagues, noting that they “assume responsibility for the school” whether he asks them to or not. Clearly, this building is home for Logan too, and it felt like a reunion to sit in his office and discuss the strengths and history of the Hornet Nation. 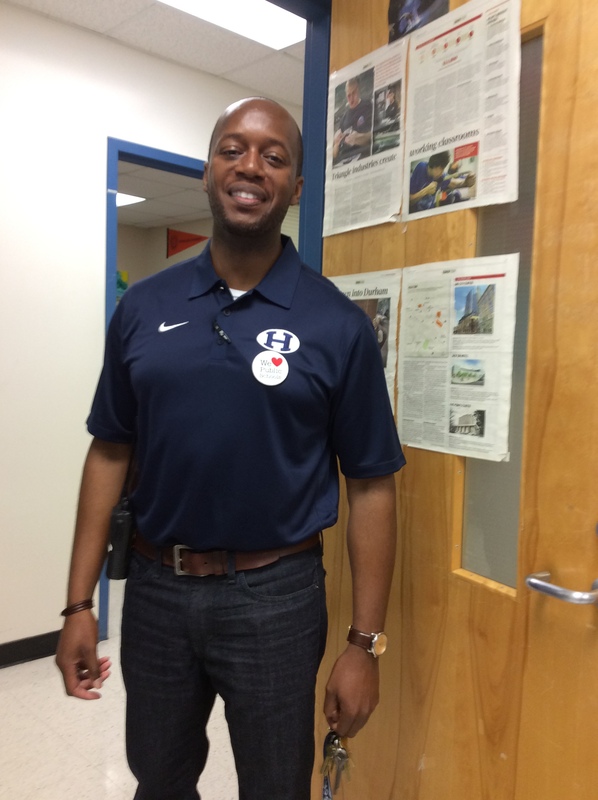 Assistant Principal Adonis Blue also referenced the school’s rich history in response to my “what’s good?” inquiry. In his 5th year at the school, and 21st overall in education, he called the school a “family oriented environment” that he’s clearly committed to after relocating from his home in New Jersey years ago. Vicki McCain is no newcomer. 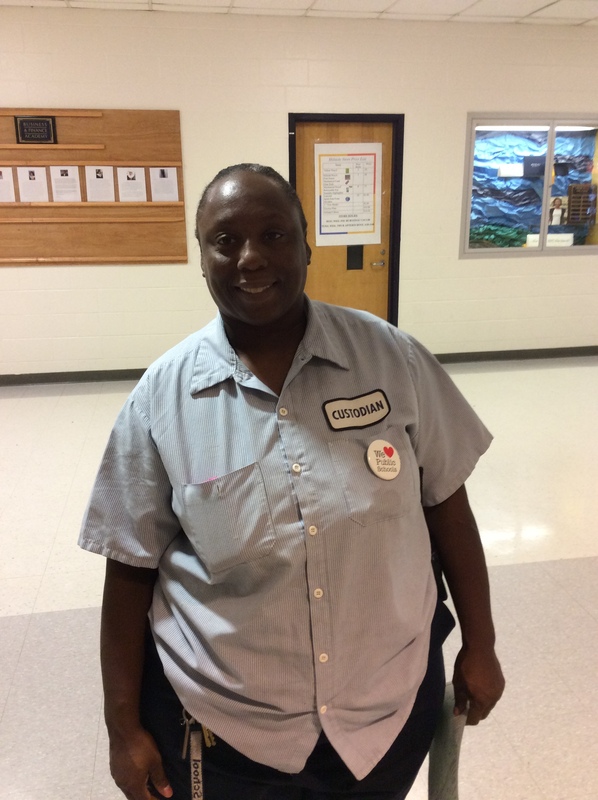 She’s been keeping the school safe and clean for the last 15 years and kept her answers to my questions simple. “I like the people and I like the kids,” she offered. In my time at Hillside, I got to teach 2 of Vicki’s children, and the connection that she has with the staff that she loves is clear as she walks through the building every day. Vicki brings a lot of skills and a lot of heart to the Nest every day, and it was great to get to see her again. 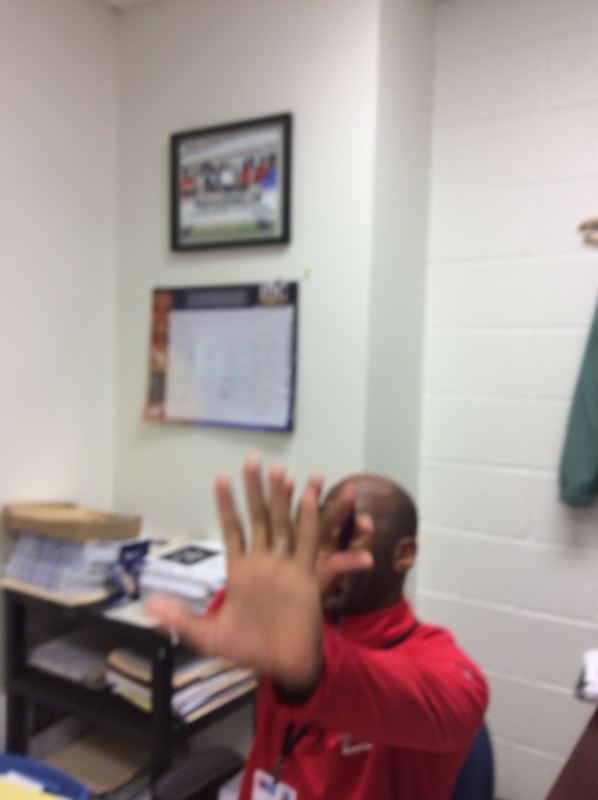 Mr. Cason beamed with that pride when we stopped by the room of Tiffany Agerston, his former Student Teacher. Agerston loves the Performing Arts department at the school because of the creativity that the students bring to their work. She talked us through the process of developing chorus concerts, and all of the ways that students’ input shapes the program. They choose most of the music and develop their own choreography, and this talented young Teacher gets to sit back, facilitate, and watch them shine. 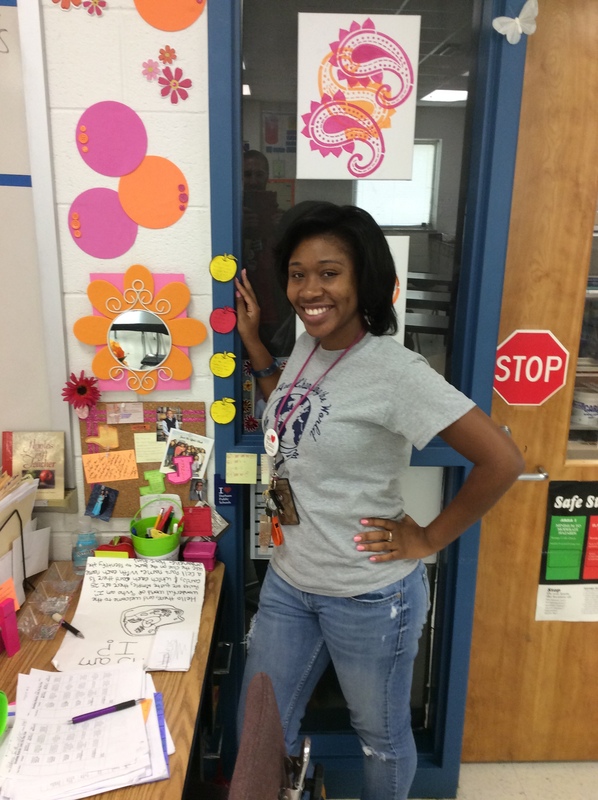 She’s obviously shining in her first year as a full-time Teacher at the school, and Mr. Cason can rest easy knowing that the program is in good hands. 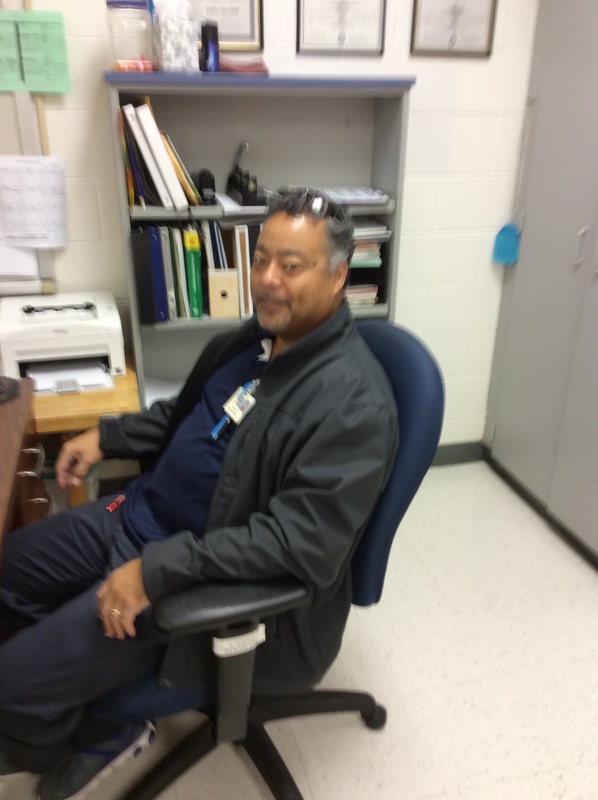 Custodian George Conrad also has good hands, and he uses them in a variety of ways as one of the school’s Custodians. He said that the work is “challenging sometimes,” but noted that he feels very supported by the school’s administration. Past the job itself, though, Conrad noted that it feels good to be a “part of the Hillside mission,” and that everyone in the school works hard to build strong rapport and familial relationships. 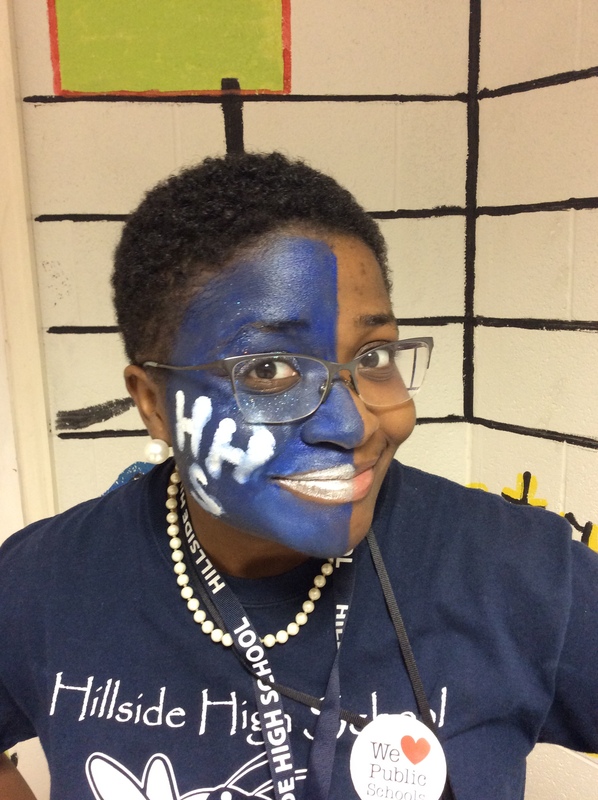 Jessica Austin is one of those Administrators that Conrad referenced, and she’s glad to be a part of the Hillside legacy in her 2nd year at the school. There’s a great deal of “pride in the tradition,” at the school, and she’s felt welcomed as a part of the school’s family. Getting to talk with Juan Wilkins reinforced the family nature of the school for me. Juan was in the first class of Hillside students that I ever taught, and I didn’t even attempt to curb my glee when I saw him at the first staff meeting of school last year. He’s the first of my former students that’s joined me as a colleague, and I reveled in hearing him say that he feels lots of love in the school. He has received a great deal of encouragement and support from his co-workers, and he said that his students extend him affection as well. It was great to see him still being fed by the nurturing nature of the school, years after his graduation from its ranks. Everywhere I turned, another Hillside alum emerged. Career Development Coordinator Darian Harris is in his 4th year at the school he graduated from, and, for him, the people keep him coming back. 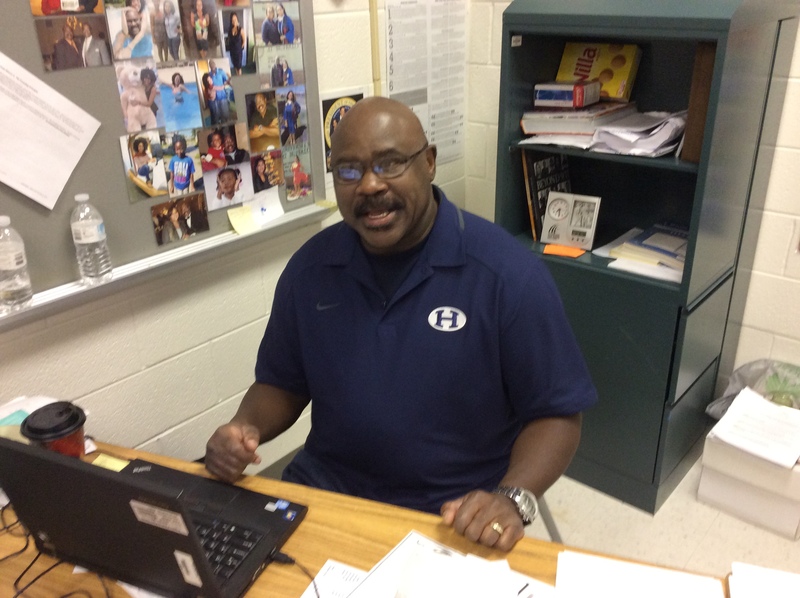 He claimed that the staff’s desire to see young people succeed is “contagious,” and he marvels as he watches them, “go to unbelievable measures to help folks.” He referenced the Hillside legacy as well, noting that the smiles he gets when he talks about the school in the community produce an instant bond with others who can claim a part of the Hornet tradition. He told me that he still knows the school song, and though I didn’t ask him to, it seems like a reader of this blog should probably challenge him to back up that assertion. As you can see from how excited he was for me to take his picture, this guy is clearly a performer. Just kidding Darian, here’s the one you finally let me take. 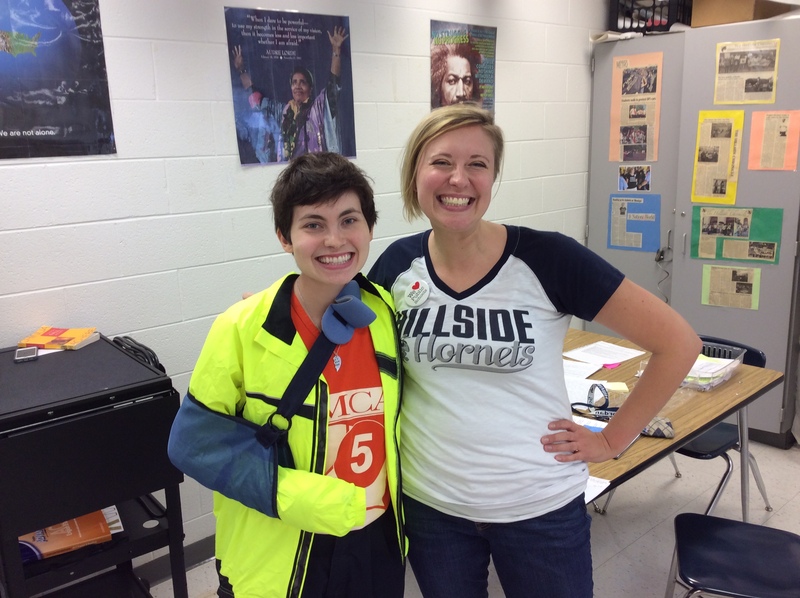 Holly Jordan proudly posed for a photo with her Student Teacher, Nan Pincus. Jordan is in her 10th year at the school and is invested not only in its now, but in helping to produce its future. 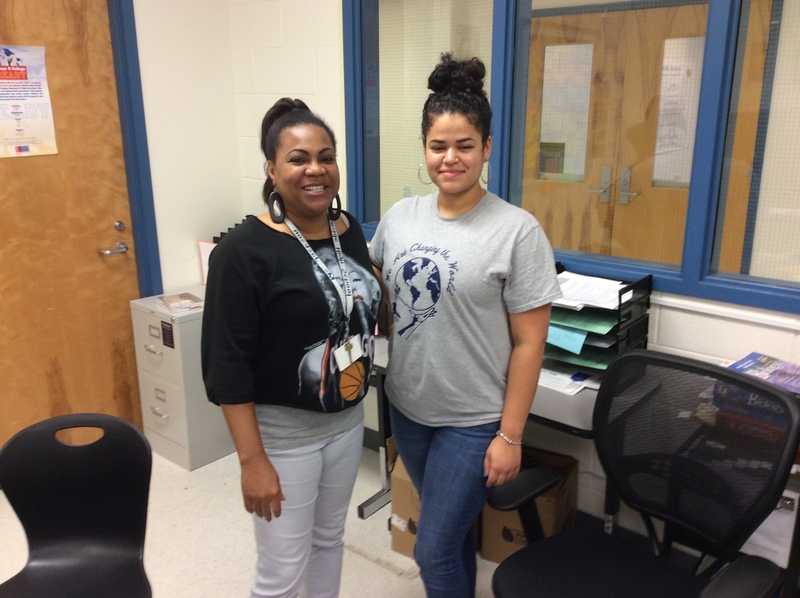 Pincus is her fourth Teacher Intern, and Jordan also coordinates the school’s Teacher Cadet program, designed to help facilitate young people entering the teaching profession after college. 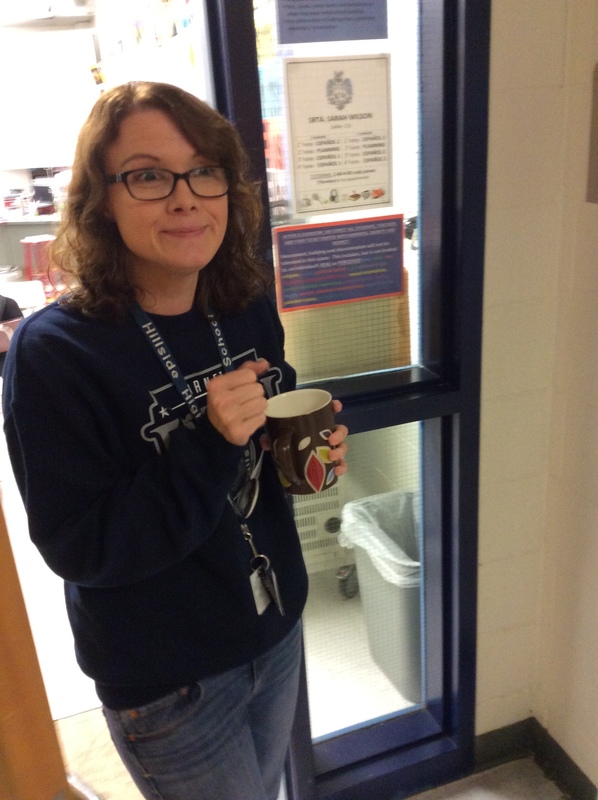 She loves the resilience her students bring to the building. 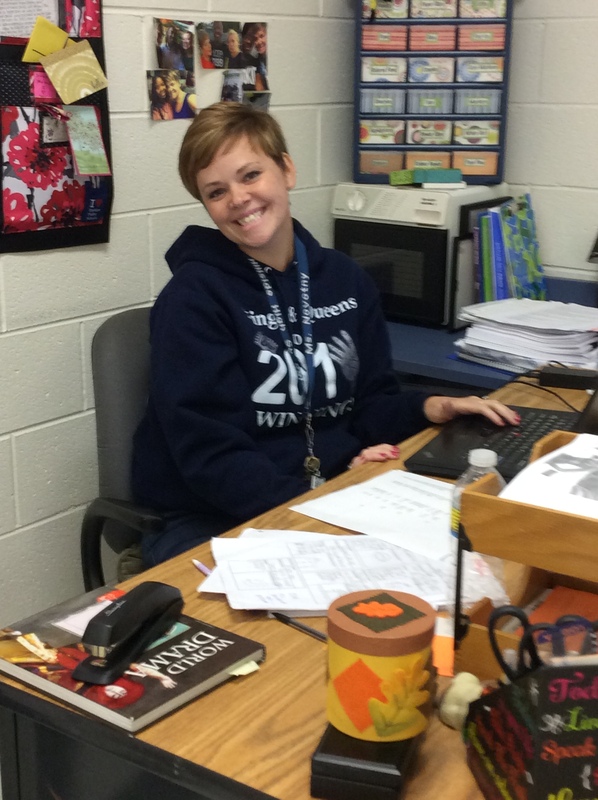 Despite the negative perceptions around town, her students show up every day driven by a desire to grow and “defy all of the stereotypes about them.” In fact, she noted that, “in 10 years, I’ve never had a student who didn’t want to learn.” In addition to their intelligence and desire, Jordan loves that her students make her “laugh every day.” Pincus prioritized students too, sharing that they bring a “sense of their rights, and also understand their responsibilities.” Further, Pincus pointed out that the kids are “invested in their own learning,” and bring “purpose for what they’re doing” every day. Pincus also enjoys the camaraderie of the school, from the staff to the students who congregate on the stairs every morning before the bell. Jackie Novotny loved the camaraderie that she experienced as Jordan’s first Student Teacher enough to come back when she was fully certified. Now in her 6th year at the school, Novotny argues that “teenagers are 100% of my job’s enjoyment.” After I asked why, Novotny noted their “personalities, their sense of humor, and their ability catch me off guard with their brilliance,” as her highlights. She also loves the school’s staff, and serves as a bit of an unofficial (maybe it’s official by now) social coordinator. The staff “supports and celebrates” each other at Hillside, and the love that she gets from students and her co-workers keeps her coming back every day. 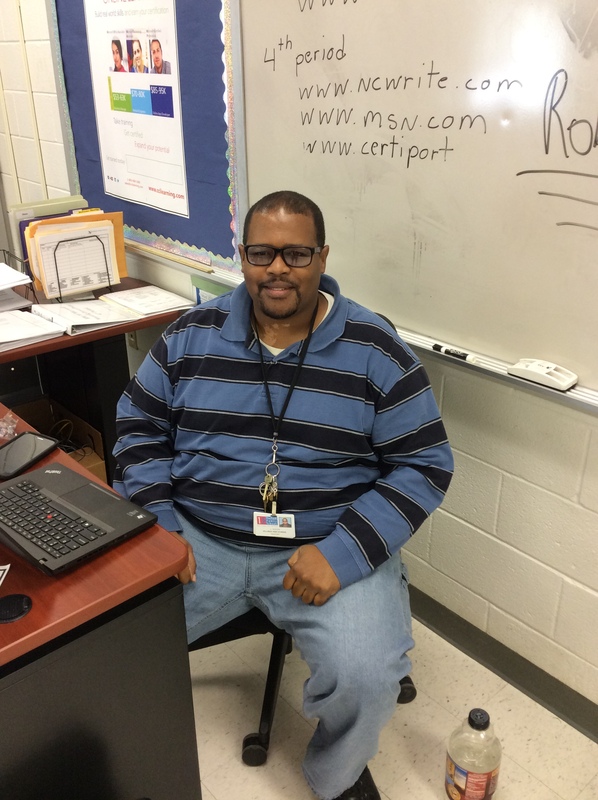 Javon Dixon is back for his 2nd year as a Career and Technical Education Teacher at the school, offering courses in Multimedia Web Design and Microsoft Word. 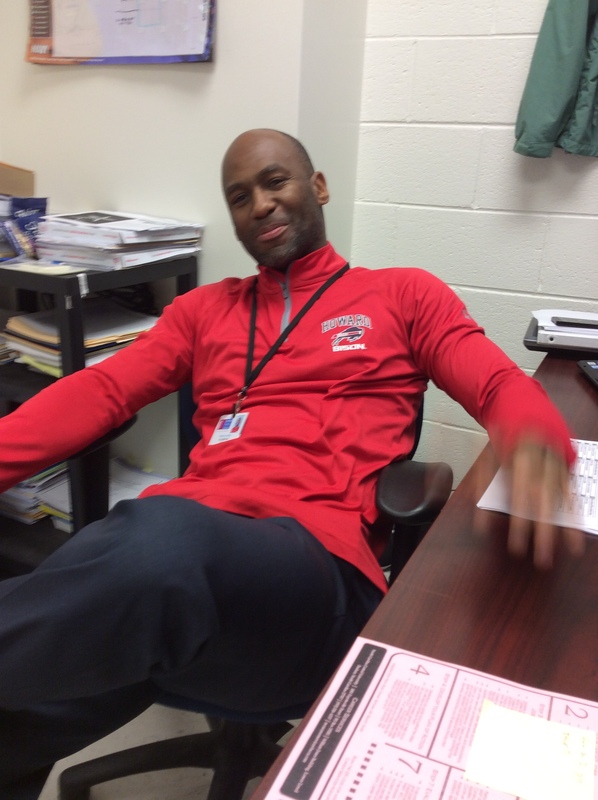 Like others before him, he named the camaraderie he experiences as a strength of the school, and called his students “animated and honest.” Because his students show up with a wide variety of backgrounds, he loves the ways that they teach each other and him in their classroom discussions. Tyler Chambers and Jerry Soletro are also back for their 2nd years at the school. 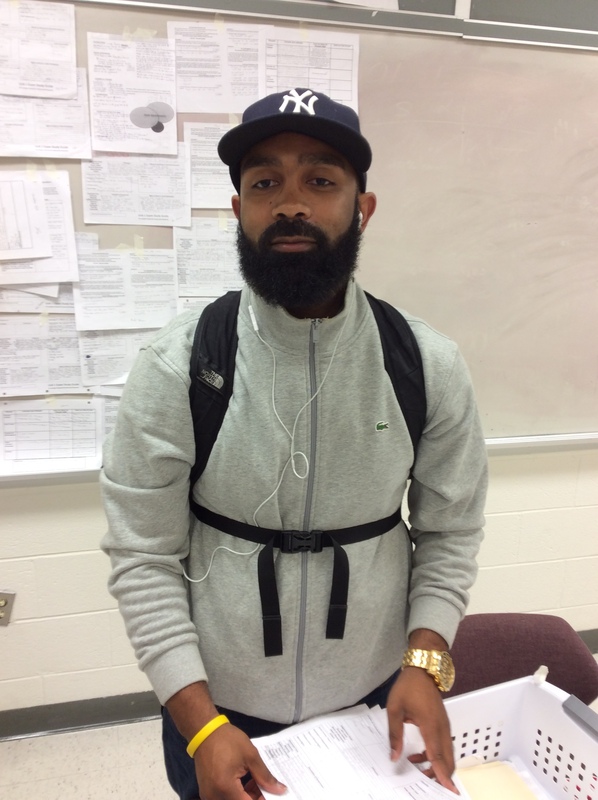 Chambers, last year’s resident “New Guy,” loves learning about the different cultures and different ways of learning that his students bring to the classroom. Soletro also named diversity, but this time it was the staff’s, noting that the school is run by “beginning teachers and veterans and people from different cultures and countries around the world.” They both noted that the school is a challenging place to work, but they are glad that they have to be focused and work hard every day. Hard work personifies the last staff person I’ll highlight here, and I wouldn’t dare leave the building without checking in with the hardest working man in Hillside’s show business. Wendell Tabb has been the school’s Theater Arts Teacher for the last 29 years and is as much of the school’s history as anyone could ever be. During his tenure, the school has become a hub for high quality art in the community, and other schools routinely bring their students over on field trips to catch a Hillside Theater performance. 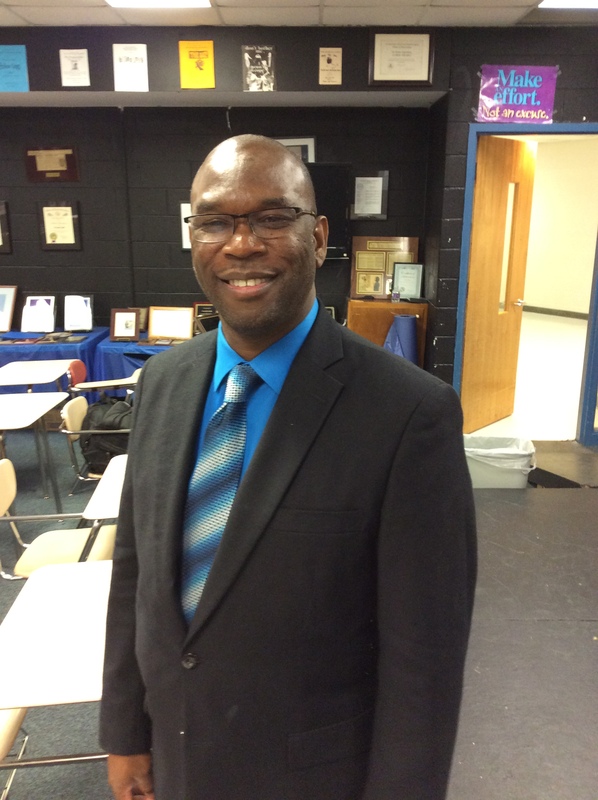 Tabb’s influence, however, spreads far beyond Durham, and, in addition to taking his students out around the state, they have performed in New York, Los Angeles, Bermuda, Gambia, Senegal, Peru, Brazil, Japan, England, Australia, and China. “Every continent but Antarctica,” Tabb notes, and it feels pretty clear that he’d bring them there if the scientists and penguins needed some more musical theater in their lives. For Tabb, the opportunity to “bring out something in a child that we know is there, but they don’t know is there,” is what drives him to bring his best to the Nest every day, and there are few prouder Hornets on the planet. It was a great honor to spend the day with my former colleagues, with whom I shared so much love and so many lessons. 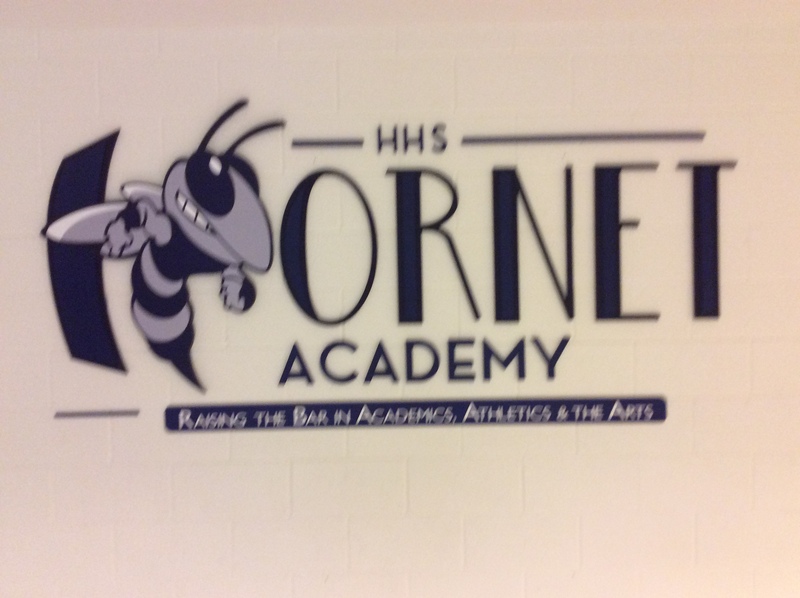 But I walked away from my former home knowing exactly what I knew when I walked in: these Hornets have heart. It doesn’t matter what I say about them here, or what the rest of the world says about them every day, they know that they’re going to change the world, and they work doubly hard to prove it every day. Thanks for letting me come back home for a bit Hillside, and thank you even more for all of the ways that you’ve shaped who I am. I love you and I can’t wait to visit again soon. Please note that the intent of these “What’s Good?” posts is to highlight the positive elements of each of Durham’s public schools. They are intended to focus on the best efforts that our well-meaning and supremely dedicated educators make every day to love and nurture the young people in our schools. These posts are snapshots, not comprehensive reports on each school. The important contributions of so many will, unfortunately, be left out. We fully acknowledge that each of our public schools is imperfect when it comes to meeting the needs of students of color, poor students, LGBTQ students, students with disabilities and mental or physical health problems, and lots of other students for a variety of individual reasons. However, this blog is not intended to shed light on those problems, which are much more complicated than can be explored in a disclaimer. So, we ask that if you choose to write a comment, you keep with the celebratory intent of this blog. We’re happy to post comments that focus on the good. Meanwhile, DAE is also out in DPS every day, fighting to win the schools we ALL deserve. We hope you’ll join us. Thanks for reading. Fantastic article! As a 1991 HHS graduate, I’m so proud to see the growth Hillside has taken and look forward to seeing the continued progress to come. Previous What’s Good at Glenn? Next What’s Good at Lucas?